Hiring a local tree trimming service means getting a professional that knows how to address your problem and getting friendly service too. 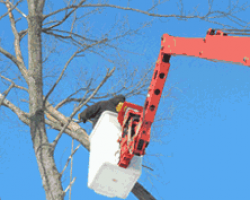 This is why many residents of the area hire New Heights Tree Service. This company is known for offering affordable services, which is something the reviews of the company rave about. The technicians will always keep you informed of their processes and how long it will take them to finish the job, including finishing the clean up afterwards. 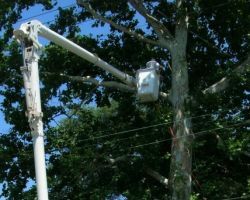 Tree care companies in the area need to compete with the level of service and customer care provided by Morningstar Tree Inc. 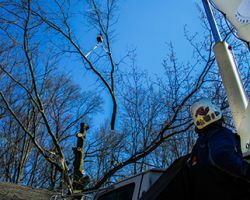 This Cleveland tree removal service uses the latest techniques and the safest methods to provide their services. Whether you are looking to renovate your landscaping and make changes with the trees or would like to remove a tree that is in danger of falling on your property, this team has the expertise to remove a tree with care and in a way that leaves no mess behind. Since 1999 Timber Land Tree Service has been offering the most comprehensive list of tree services in Ohio. This company offers everything you could need to make your landscaping and yard as beautiful and pristine as possible. These tree pruning contractors will use the latest industry techniques to carry out trimming, removal, stump grinding, hedge trimming and much more. These professional technicians even offer emergency services and hazardous tree removal too. This will mean not only having a well maintained property but also one that is kept safe from falling trees. Affordable Tree Services of Ohio offers both commercial, residential, and emergency tree services. This company is known for meeting the needs of their clients in the most accommodating and efficient way possible. Each of the technicians that works for this company has years of experience and is trained in their craft and in safety. You can be sure that when you hire this team, they will only provide you with their best work and they will do so at relatively cheap prices too. 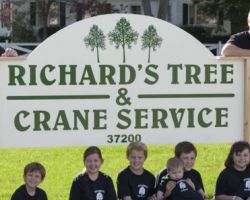 Richard’s Tree Service has been offering the highest standard of care for over 35 years. This locally owned and operated tree service in Cleveland, OH has a full range of services. 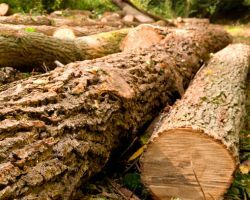 These include dangerous tree removal, crane service, stump removal, tree cutting, trimming and pruning. This company offers their expertise with the focus of their business being on total customer satisfaction. With a company that is this experienced, you are sure to be pleased with their work and how quickly they are able to get the job done.